This is one of the best imaging scopes I’ve used in the past 15 years for h-alpha close up images. The tri-band adaptability of the design makes it configurable to what ever view you are in the mood for. It delivers enough resolve and detail to show you the most tiny features on the Sun and gives you that “Wow” feeling every time you look through it. 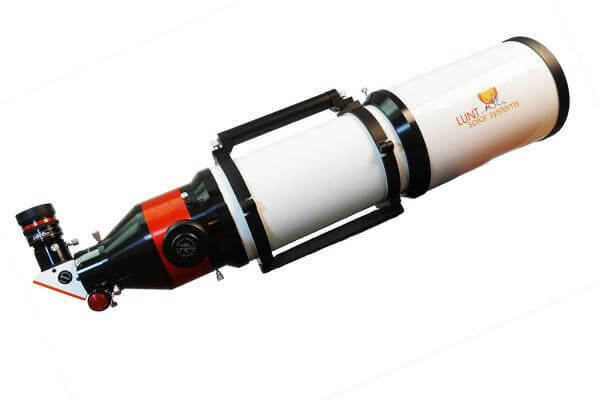 Its a pretty stout scope that requires a heavy duty mount but if you’re looking into a first class trip to the Sun this is definitely the only way to fly. 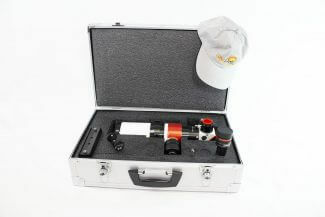 The close up images this scope delivers are second to none, rich with action and packed with high resolution. 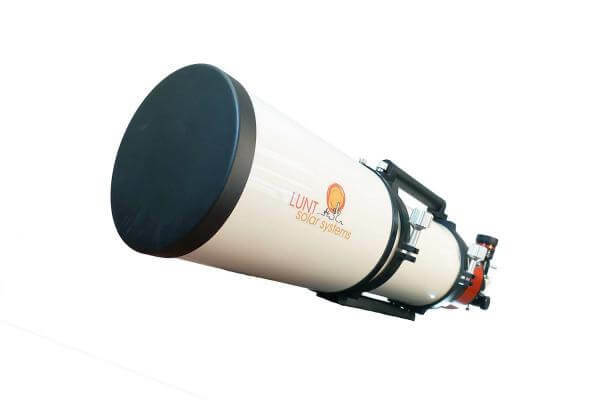 My buddy, and I love our new Lunt LS152 solar-scope. It is an incredible scope with amazing optics…First light was amazing. The views were spectacular. It was nice to have my own 152 so I could zoom in on the limb and see the spicules with my own eyes. It was incredible, the details and brightness of the disk. With the camera I could easily view this with the Lunt 60 but with my bare eyes, I cannot resolve this fine detail. I shared the views with my neighbors, friends and will be bringing the scope to 4 day Astrophotography workshop I am instructing in two weeks at the Adirondack Public Observatory. (I blocked out a block during the day to each solar imaging and will be running the 152 as the imaging platform.) I also am an advisory board member at the Adirondack Public Observatory (www.adirondackpublicobservatory.org) and I will be bringing this setup to many outreach events. In addition, I attend NEAF every year and will be getting in on the Solar Party action and share the views with the 152. I am an avid solar imager and post many images on my “Connolly Astronomy” Facebook page (www.facebook.com/connollyastronomy). I always tag Lunt’s Facebook page in my posts when I use your equipment so look out for more exciting photos! I am definitely not a stranger to Lunt. I have the Lunt LS60, double stacked with a LS50, a Lunt Engineering 80mm, Lunt Engineering 102mm and a Lunt Ca-K B1200 module. I attached several images of first light and the first image I captured with the scope. I used the LS152 with a 2.5x powermate and an ASI174mm camera. You can see the huge smile on my face and I haven’t stopped smiling. I can’t wait to receive the double stack and Ca-k module for the 152!